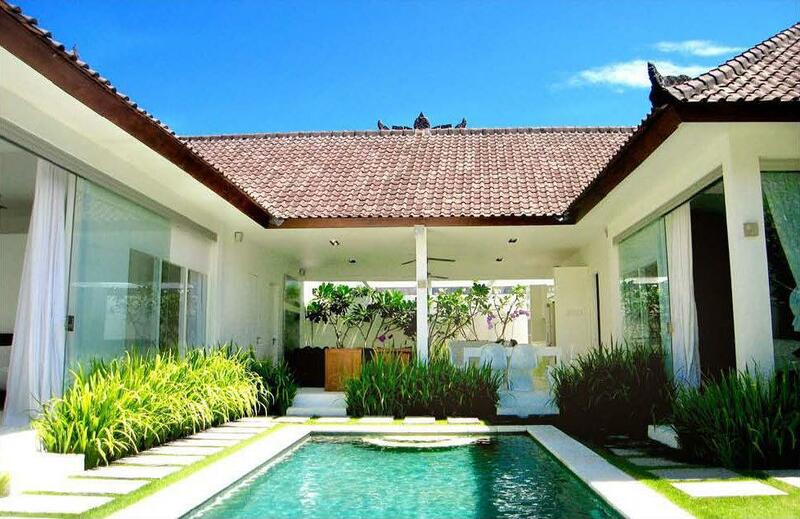 Villa 3217 is a stylish villa situated in a prime location in Seminyak close to the beach and world-famous restaurants. 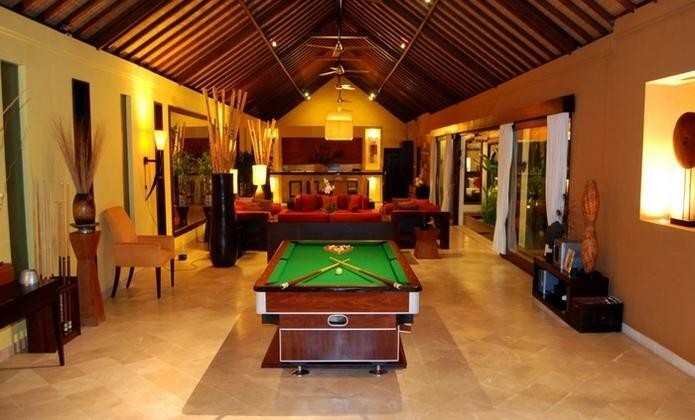 Superbly decorated by a well-known interior designer. 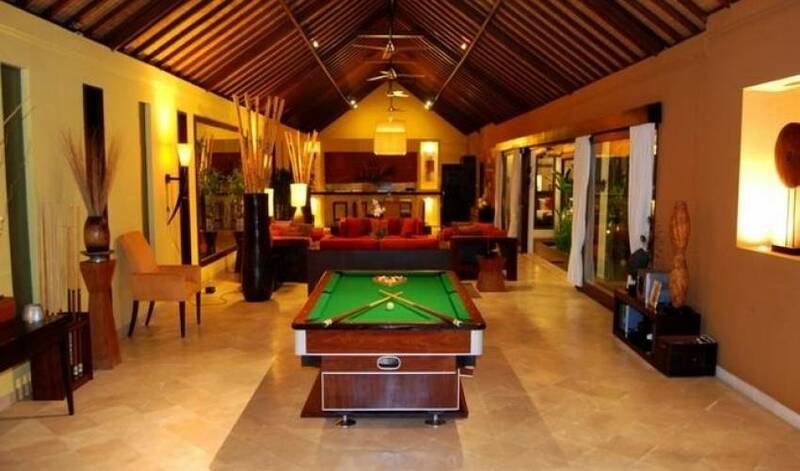 The spacious living, dining and kitchen areas create a stunning villa that could be shared with up to 6 people. 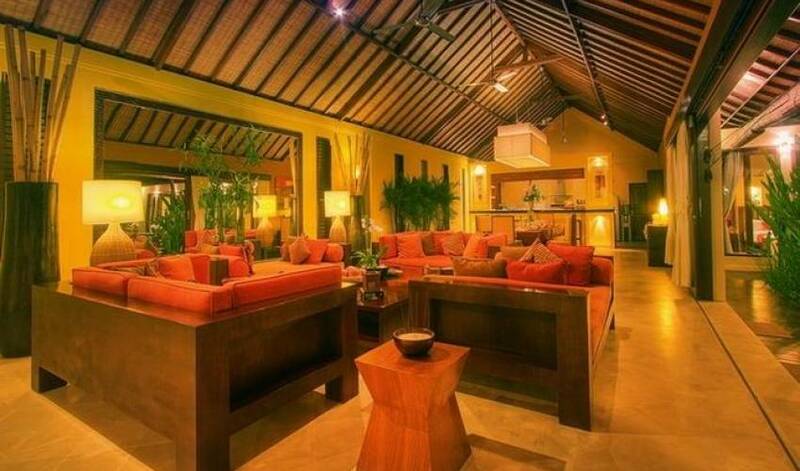 Each and every room in the villa is styled in a different color and theme. Tropical gardens and a large rectangular swimming pool (4m x 11m) with relaxing poolside bale help create a dream home away from home. This 400 square meter villa is perfect for entertaining with friends or celebrating special occasions with family. 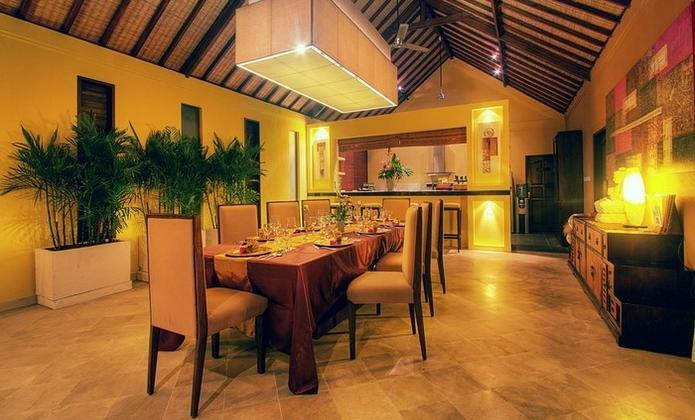 In addition to well-trained and experienced staffs, facilities such as a 10-seater dining table and a fully equipped kitchen with modern amenities. All 3 bedrooms are furnished with highest quality mattresses, bed linens and pillows. 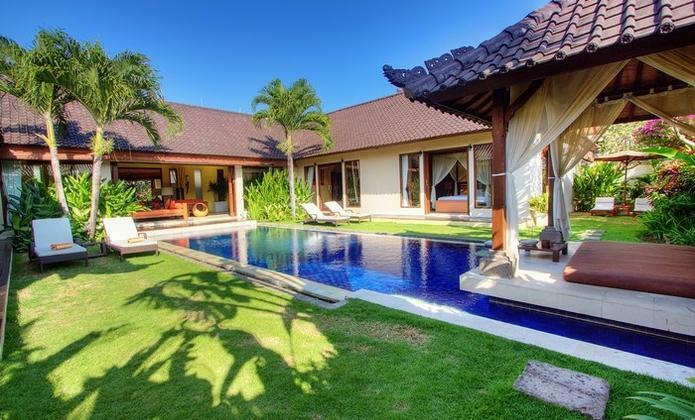 It is up to you to choose all 3 bedrooms with King-sized beds or combined 2 King-sized beds with 1 Twin bed. 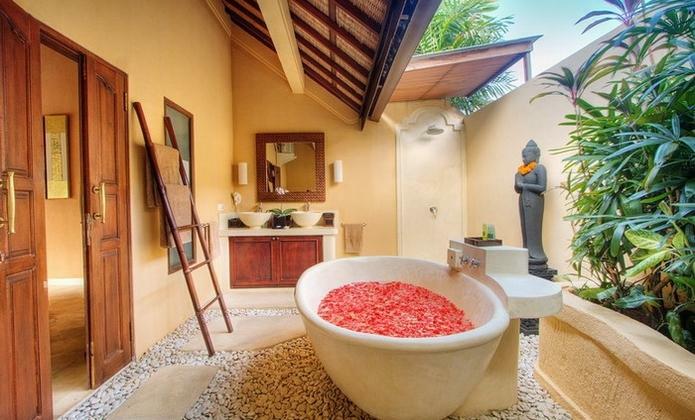 A private open-air bathroom with bathtub, shower and high-quality fixtures are to help enhance the overall relaxing holiday mood. All rooms have their own air-conditioner and safety box as well. Guests who bring their own CDs or music from their iPod would appreciate the quality sound system the villa has installed. 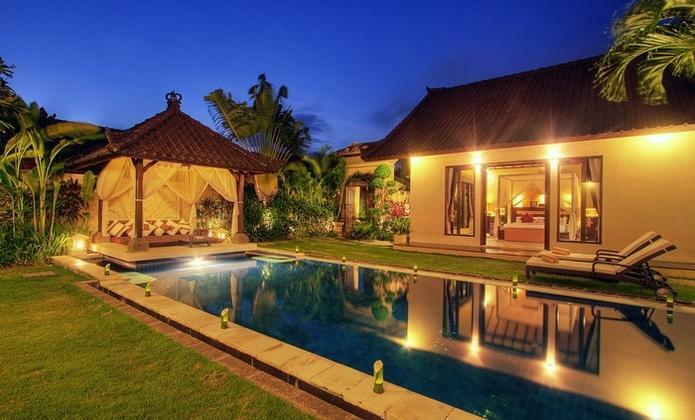 The villa is located just off the main road of Oberoi (Jalan Laksmana). The villa is within walking distance of numerous Restaurants and Cafes in the popular Restaurant Street. Enjoy visiting the latest restaurant district on or near the beach, including Ku De Ta, La Luciola, Sip, Sarong, Sardine, Potato Head, Mama San, Ultimo, The Junction and Sardine. 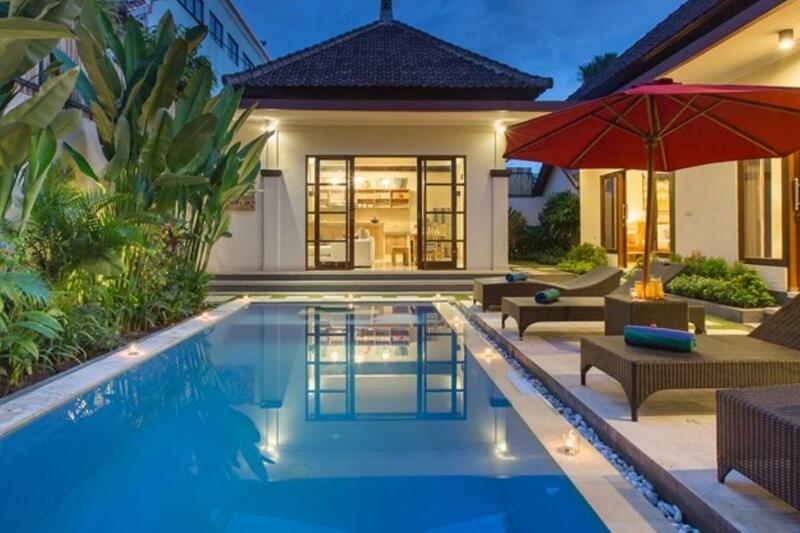 The villa is in the center of what is now considered the “Prime Villa district” in Seminyak close to everything one needs to make their villa holiday wonderful. 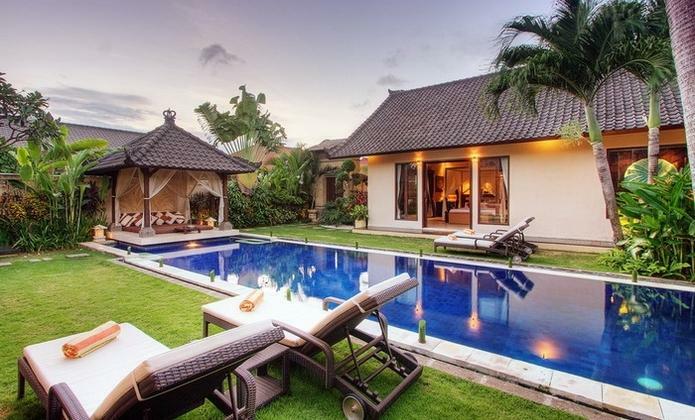 Just a 20 minute drive from the airport and guests can be relaxing at their own private villa.